In the swelter of summer, it’s not hard to remember to drink plenty of beverages to stay hydrated. Our bodies seem to continually call out for something cool and refreshing. Come winter, however, although our need for hydration stays constant, our thirst seems to go underground. What’s more, the fashion vibe is flipped from beach casual to urban outfitted, and it won’t do to lug around just any old thing. 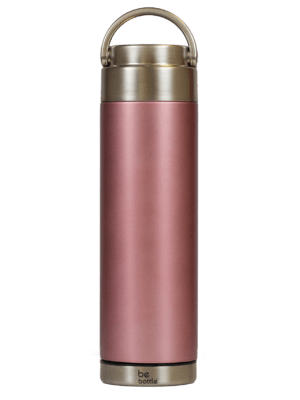 Enter the perfect fix: a vacuum insulated water bottle that morphs into a tea bottle that dresses down for a workout and dresses up for a night out. 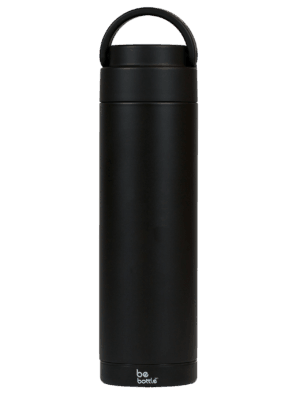 The Be Bottle BPA-free water bottle meets you where you are, a sleek solution for your thirsty winter body. 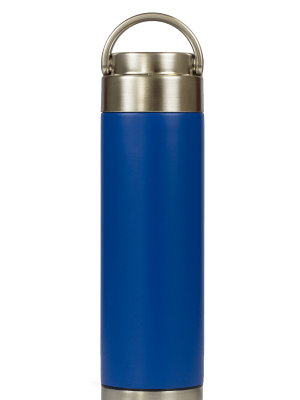 Your choice of a modern stainless steel insulated water bottle says there’s no room in your winter wardrobe for ugly, earth-clogging single-use plastic. Although you may not be moved to drink as much water in the cooler months, rest assured, dehydration will take its toll regardless of how thirsty you do, or don’t, feel. Outside, cold temperatures and wind wick moisture from skin and hair, while inside, central heating is busy sucking every last bit of humidity out of your environment. While there are plenty of health and beauty tips and tricks to combat the effects of winter, by far the most pre-emptive strategy is to stay hydrated. 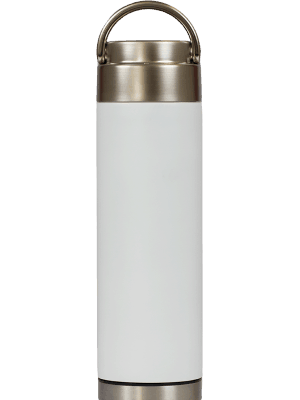 The benefits of an attractive leak-proof water bottle are nearly endless, starting with how seamlessly a meticulously designed Be Bottle stainless steel bottle meshes with your aesthetic. Not only is it fashionable in any scenario, but you’re never without the water you need to feel alert and look refreshed all day long. Let’s face it, we’ve all heard the eight-glasses-a-day rule, but it’s not easy to drink all that cold water in the wintertime. The good news is, a nice cup of stimulating, delicious, antioxidant-rich green tea counts. Peppermint tea counts. And chai, yum, that counts, too. 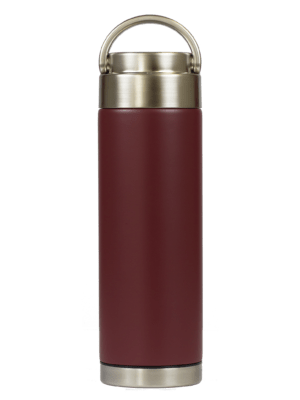 Keep your favorite hot beverage hot for up to 12 hours in an insulated bottle, and let winter take its best shot while you stay toasty and well hydrated. The best tools can multitask. 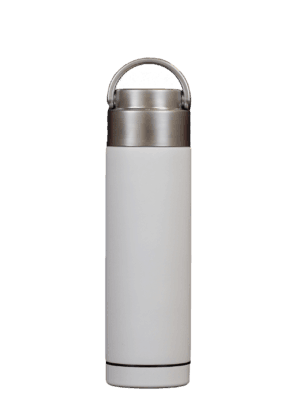 Choosing an insulated water bottle with an infuser opens up your options for how you hydrate. A little flavor can go a long way to infusing a grey day with some color and keeping boredom at bay. Of course, it has to be easy. Simply remove the bottom of your Be Bottle infuser water bottle to clean it. No left-behind residue. No nasty sponges or weird brushes. Perfect. Explore recipes for fruit infused water, and take a mini vacation with every refreshing sip of deliciousness. Recently, key players in the fashion industry have taken up the cause to reduce plastic waste and clean up our oceans and other threatened environments. This kind of awareness and activism, though, is more than just a trend. It’s a movement in which every individual can be an influencer. A reusable water bottle designed for sophistication and ease of use is a clear frontrunner over disposable plastic. Reducing our use of single-use plastics takes us closer to beautifying our planet by curbing the ugly, destructive waste that makes its way into our wildlife and natural habitats. This winter, stay hydrated, stay healthy, and make a positive impact on your environment, and do it all in style with Be Bottle. Rose Gold Pink 18 oz.